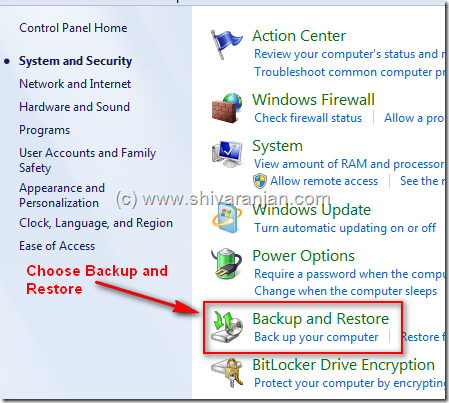 There can be instances when Windows 7 can get unbootable and we would need a recovery or rescue disc to repair the Windows 7 installation. 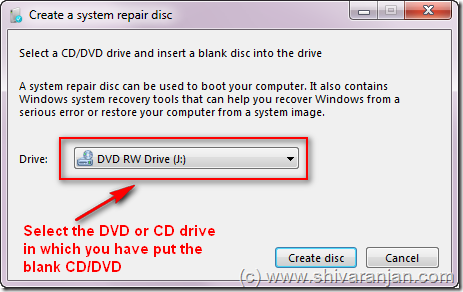 The recovery options can also be accessed from your original Windows 7 disc but it makes sense to make another system repair or recovery disc if the original Windows 7 CD is not available. 2. Now insert a blank CD or DVD your CD or DVD burner and select that drive. 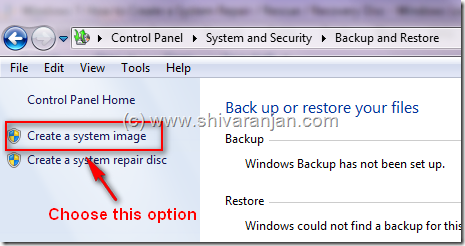 Hit the ‘Create disc’ to trigger the system repair disc creation process. 3. Now Windows 7 will start burning to the disc and this will complete in couple of minutes and the system repair disc is now ready for use. In case of questions post in comments section. what if you were to write a awesome headline? I ain’t saying your information is not good, but suppose you added a post title to maybe get people’s attention? 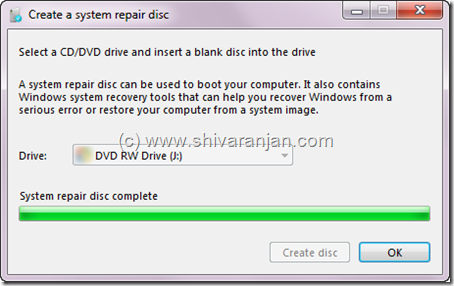 I mean Windows 7: How to Create a System Repair / Rescue / Recovery Disc is a little vanilla. You might glance at Yahoo’s front page and watch how they create article titles to grab people to open the links. You might try adding a video or a picture or two to grab people interested about what you’ve written. i am browsing this website dailly and get nice data from here everyday. Followed instructions then window appeared stating insert media into D, which I already have done?? Share Your GSM Exprerience On – http://www.yourgsm.in/ Hardware And Software Repair Area. you make running a blog glance easy. The total look of your web site is excellent, let alone the content material! Tremendous things here. I am very glad to see yoour article. Very energetic post, I ennoyed that a lot. browsing this web page and rsading very informative articxles or reviews here. Hi admin i see you don’t earn on your blog. Hi there,I log on to your new stuff named “Windows 7: How to Create a System Repair / Rescue / Recovery Disc” on a regular basis.Your story-telling style is awesome, keep it up! And you can look our website about اغانى 2018.